Aaron's Way and Achiezer hit the ground running this past Friday. 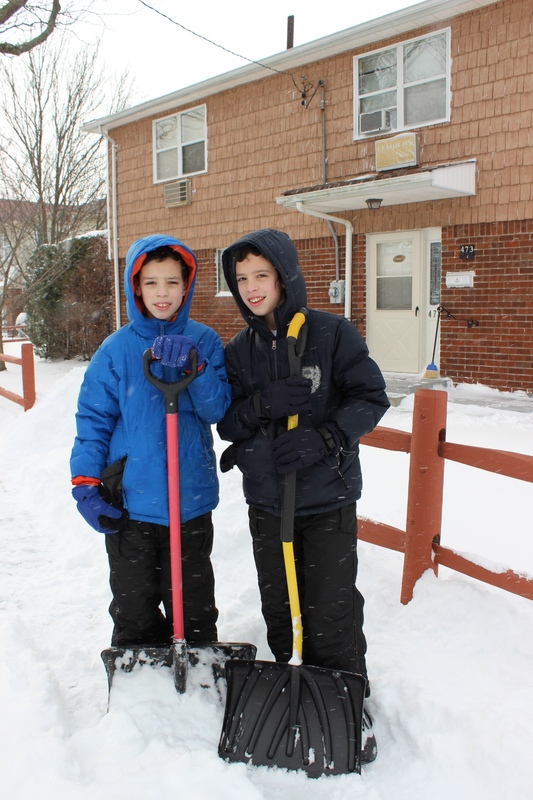 With schools closed due to the inclement weather, countless eager youngsters called the Achiezer volunteer hotline offering their shoveling services for the elderly and handicapped in our community. Brothers and friends teamed up in an astounding Kiddush Hashem. From Bayswater to Woodmere, crews of volunteers were organized through the Achiezer office and fortunately the volunteers outnumbered the requests! May this wonderful chesed performed serve as an aliya for the neshama of whom the program is named: Aaron Shalom ben Naftali Hertz Yisroel Tepfer a"h.